It was a simple household scuffle, which degenerated into fisticuffs. But when 24-year-old Okechukwu Chiagba woke up that day, he did not imagine that he would nearly lose his manhood over something as mundane as a potty. But that was exactly what happened when he engaged in a scuffle with his neighbour, 41-year-old Michael Essien, a Calabar, Cross River State indigene, over accusation of using a potty without permission. But by the time the dust settled, Chiagba had sustained a gory tear in his manhood that put him in the hospital for more than one week. He explained to newsmen that the incident that led to his injury began at 6am that day in the apartment building in which he lived with his wife (what is called face-me-I-face-you) in Shasha, Egbeda Lagos. Chiagba said, “That night, my wife went out to use the toilet. We normally use potties. 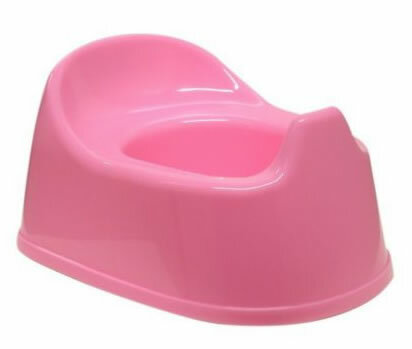 But when she got to where she put her potty, she could not find it. “She came back to ask me but I told her I had not seen it. She went outside to look for it and that was when she saw our neighbour (Essien) coming out of the toilet with it. According to him, later that morning, he went to work but when he came back in the night, he saw the potty at their entrance, even though they usually kept it out of sight in a corner of the house. Chiagba said when he asked his wife about it, she said she did not know who put it there. He said, “I picked the potty and put it under the staircase where we usually kept it. When I was returning it, Essien blocked my way and said I should not put it there again, I asked why and he said because my wife was accusing him of using the plastic. “I told him that if my wife really accused him, all he needed was to deny or ignore her that he really did not use it. I tried to go past him and put the potty there but he pushed me to the ground. We were about to fight when neighbours separated us. “I went inside and sat down. Later, I went to put on a boxer and sat outside to take fresh air. I was receiving a call when I heard ‘I will surprise you today. I will show you today.’ I turned around just in time to catch him as he rushed at me. It was learnt that after Essien let go, the neighbours realised how serious Chiagba’s injuries were as he laid unconscious on the ground. They quickly revived and rushed him to a hospital where he was stitched up and hooked on a drip. Essien who has since been arrested by policemen from the Egbeda Police Division, Lagos, explained that he did not mean to inflict such an injury on Chiagba. The police said Essien has now been charged before an Ebute Meta Chief Magistrate’s Court, Lagos, for assault and battery. Chiagba told newsmen that he had not been able to walk properly since the incident. He said he had expended a lot of money on treatment and believed Essien must be made to reimburse the money he spent on his treatment.